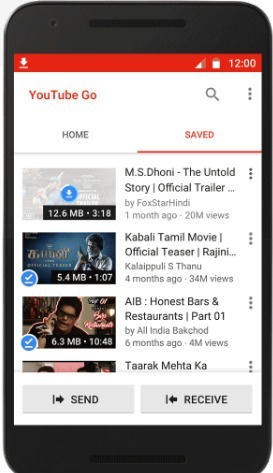 Meet YouTube Go; The New YouTube App For Offline Video Viewing & Sharing:- Be ready to welcome YouTube Go, the new data efficient application from YouTube. 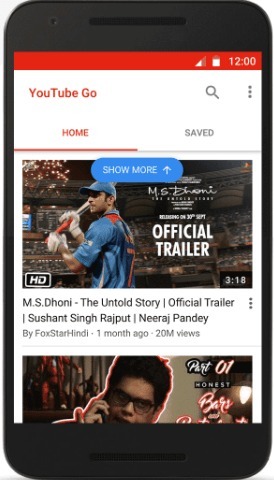 YouTube Go is expected to have a lot of features that many of the YouTube users have always dreamed of. With its release, YouTube is sure going to create a revolution. It is expected to be such a great blessing for countries like Inida, where the Internet connectivity in most of the parts is slow. The app is expected to hit the markets soon. Read on, to learn all about the super cool YouTube Go! You can find and watch your favorite videos from the Home tab. You can view the video preview before watching them. 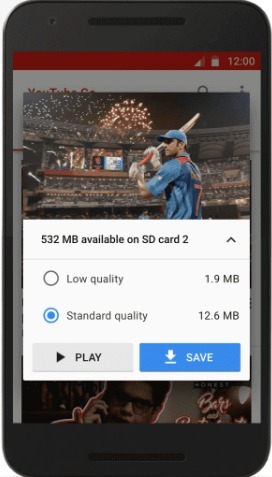 Also, you get to choose the quality of the video to save data. If you are on a slow internet connection or has a limited data pack, you can choose to save or watch the low quality video. You will be able to view all the saved videos under the Saved tab. These videos do not require internet connection as they are already saved. 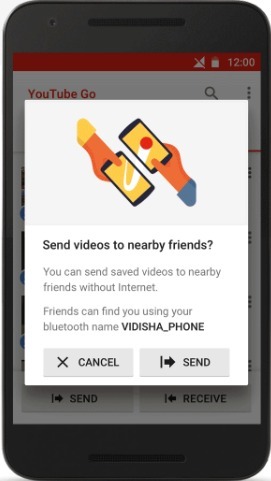 You can send and receive saved videos to and from your friends nearby without an active internet connection. Wait for YouTube Go to hit the Play Store to make the best out of YouTube. Hope you found the article useful. Do come back for more, as there is always something new waiting right here for you.